7 Ways Introverts Can Become Master Minglers - Something New Everyday! We're all familiar with the concept of networking, and there are some myths about this social practice that I'd like to clear up. First of all, there's an assumption that you have to be "good" at networking or it won't get you anywhere. We're often told that while it's important to know a lot of people, I agree with my wise and witty Granny Johnson, who always said, "It's not who you know, it's who knows you." Networking is an essential key to business success that unlocks professional doors and opens up new opportunities. But putting yourself out there doesn't come easy to everyone, and interacting with a roomful of strangers can make anyone uncomfortable. Don't let being on the shy side stop you from reaping the rewards of connecting with people in social and professional settings. All you need to feel at ease talking with anyone is a solid strategy and a little practice. Follow these seven tips to master your mingle-ability skills. Don't allow your fears to inhibit you from interacting with others. An optimistic outlook on life attracts people, so go in with the attitude you're going to have a good time meeting interesting people. To take the pressure off, focus on others and less on yourself. Topics common to everyone like travel and food are ideal conversation starters. Don't underestimate yourself. You have more to contribute than you think. If you never make the effort, you'll cut yourself off from potential opportunities as well as deprive others of your unique gifts. 2. Choose quality instead of quantity. Instead of spending small amounts of time with a lot of people, spend more time with a smaller number of carefully chosen people. You may find it comforting to know that the strength and longevity of your relationships depend more on the quality, and far less upon the quantity, of your connections. 3. Network before you need it. Practice speaking and introducing yourself to strangers in low-threat situations so you'll be more comfortable interacting with people you don't know that when opportunities present themselves. Listening attentively shows respect for both the person speaking and what they have to say. Making a personal connection is the very first step towards building mutually beneficial partnerships. 4. Mind your body language. Most of what we say is communicated not in words, but subconsciously in gestures, voice tone, posture and other aspects of how we physically hold ourselves. Stand tall, keep an open stance and look people directly in the eye. These actions go a long way toward creating meaningful connections. Practice power poses in private before networking events to get in the right frame of mind and to boost your confidence. 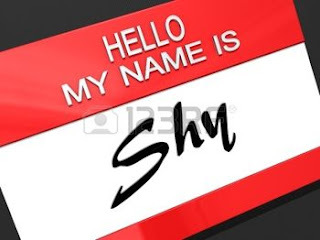 Whenever you're introduced to someone, say his or her name in conversation. This will show you are paying attention and will make the other person feel important. If you can't remember someone's name, simply say, "It's been one of those days, please tell me your name again." Remembering everyone you meet is impossible, yet when you make a concerted effort to remember two or three names at each event you attend, you'll become better with practice. When you are interested in others and they will become interested in you. Inquire about what matters most to people, then center your conversations around their priorities. A mutually-beneficial relationship is one based on trust, respect and goodwill. The result is a long-term quality connection in which information and resources are freely exchanged. Nothing is more attractive than sincerity. If you're having a good time, people will pick up on your enthusiasm. Exuding positive vibes is a social and professional magnet but don't fake it. It must come from an authentic attitude. . Focus on having fun and presenting your best self. If you win some new friends and clients in the process, that's the icing on the cake.